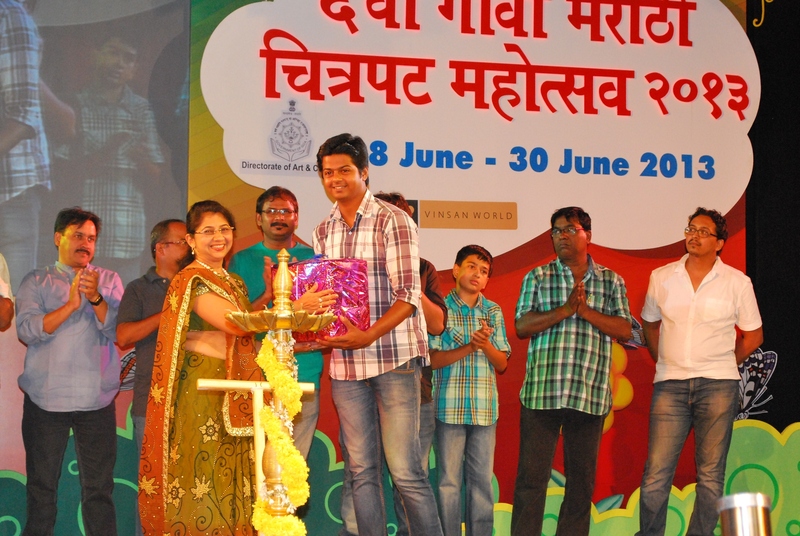 The final day of the Goa Marathi Film Festival witnessed an elegant award ceremony for the short film competition. Andrea Maganlal, Managing Partner, Magsons Retail Stores gave away the awards to the winning directors. Fish Fry directed by Nikhil Partan received the winning award for best short film in the 10 minute category followed by the runner up film History by Nikhil Paratan. In the 30 minute category, Vartul directed by Santosh Ram followed by runner up film Pakhalo by Aftab Khan Farooqui. All four winners received awards and special gift hampers worth Rs 25000/- from Magsons Retail Stores. With only five entries from outside Goa, the short film competition received an excellent response from independent Goan directors. Some of the film makers included Yogesh Kapdi, Satardeker, journalist Sunil Naik and film maker/photographer Shahnawaz Mayyadi among others. The sixth edition of the Goa Marathi Film Festival played host to prominent film makers, well known personalities and celebrities. The ceremony witnessed eminent personalities and celebrities including Uddhav Thackeray, Vikram Gokhale, Manava Naik, Kishore Kadam, Pallavi Joshi, Mahesh Manjrekar, Mrinal Kulkarni and others. This entry was posted in Uncategorized and tagged Goa Marathi Film Festival, Magsons Retail Stores, retail industry, Short Film Competition. Bookmark the permalink.